One Feedback on "Latest Hipster Atrocity: Artisanal Ice"
I would sooner give up drinking than pay some frustrated Philosophy major an extra dollar to put some frozen water in my Old Fashioned. To Hell with all of these hipster bastards and their stupid, worthless, pathetic trends. 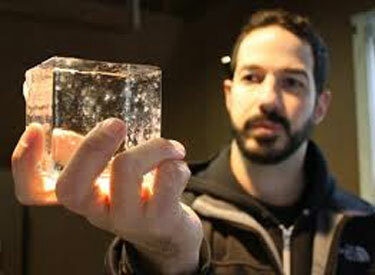 Roman emperors could enjoy ice cubes in their drinks 2000 years ago, for the love of Christ. It will be artisanal air next, with some emaciated, bearded ballerina telling me that it will be an additional $5 to inhale.